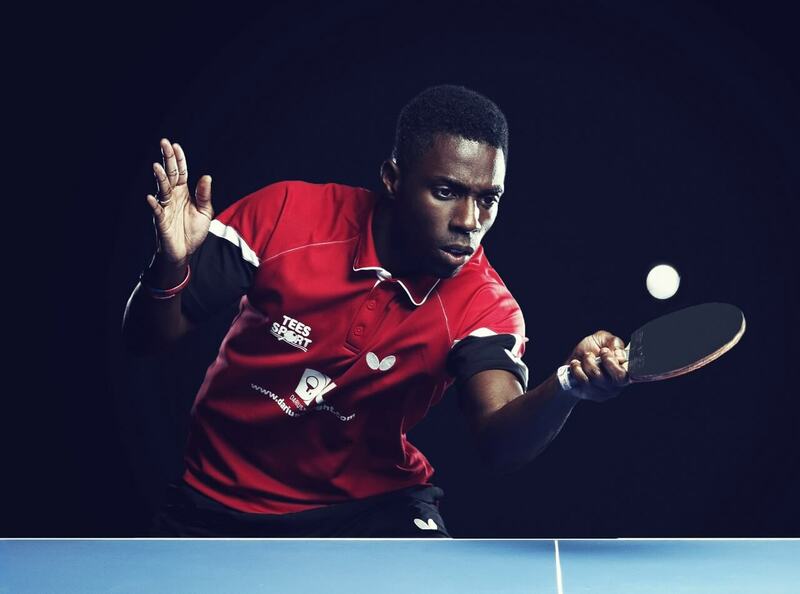 Professional table tennis player Darius Knight is an accomplished Olympian and silver medallist at the Commonwealth Games, so is a true star of his sport. Having been playing since the age of ten, Darius amazingly went on to debut for the England national side aged just 14. He soon rose up through the ranks of the international game and the results he has achieved since, at both domestic and international level, are truly remarkable. At Under 21 level Darius became three time national champion and also won a junior title in the Under 18s, the senior British title twice and was instilled as the number two in the National rankings. Always performing at the highest level, Darius has many transferable skills that will set him up for success in any walk of life from sport to business. As such he has started his own line of table tennis gear and has got a fine coaching network off the ground. Keen to give something back, he has often worked with urban youths and is a true inspiration to them who always gives great insight and delivers motivational talks with real style and engagement. Darius has been a torch bearer for the 2012 Olympic team, has competed throughout the world and was part of Team GB in London 2012 as well as winning silver in the 2010 Commonwealth games. Darius continues to work with programmes including: “The Premier League for Sport”, “Sky sports living for Sport”, the “Ping Pong Care Campaign” and many other organisations so is a prominent star who always has plenty to give.